I previously revealed part of the actual Rockalily Lipstick, and today was the first official photoshoot! 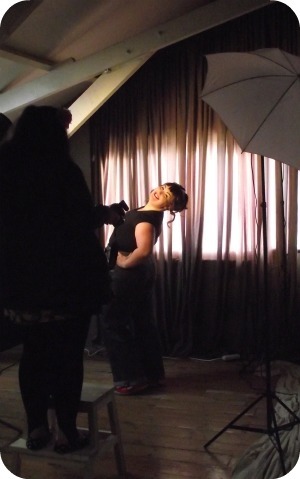 The finished photos are being edited as we speak, but here are some behind the scene tasters! First plan of action was setting up our make-up station. Second step was getting the bubbly going! 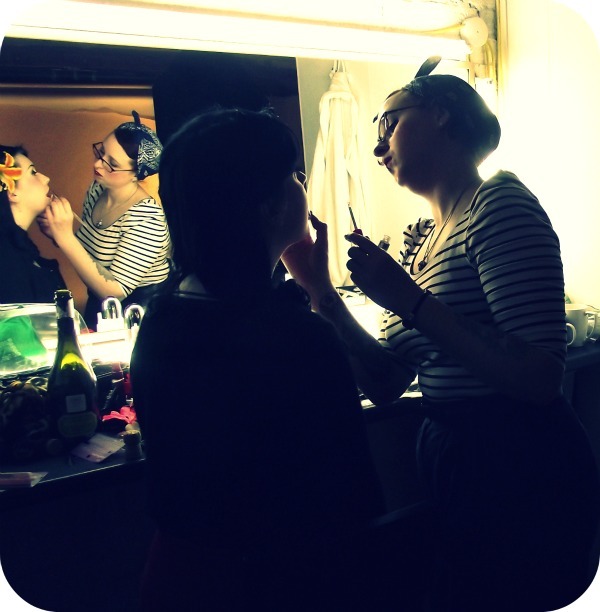 Next we set about getting my lovely Rockalily Ladies all made up! Think lashings of black eyeliner, and of course all completed with Rockalily Lipstick (in Rockette Red and Roulette Red).